Russian Defense Minister Sergei Shoigu announced yesterday that Moscow will supply S-300 anti-missile systems to Syria within two weeks. This development followed the downing of a Russian reconnaissance plane by Syrian forces, who hit the plane when they tried to repel an Israeli Air Force attack. Just a week ago, Israel shamelessly bragged that in the past two years it has carried out more than 200 strikes on Iranian-affiliated targets in Syria. This will change now. The Jewish State will think twice before it orders its pilots to carry out an attack on Syrian land. A few days ago I published an article on the Yom Kippur Syndrome. The Syndrome, as I define it, is the chain of events that drives Jewish societies towards an extreme irrational sense of pride, arrogance, hubris, blindness toward others and the tragedy that inevitably follows. The Yom Kippur war (1973), that is perceived by Israelis as the lowest moment in their young history, was a direct outcome of the post 1967 ‘euphoria.’ Tragically enough, Jewish history is an endless story of ‘Golden Ages’ followed by ‘sudden’ havocs, pogroms and shoas. The Syrian anti-aircraft unit will reportedly be equipped with the latest Russian tracking and guidance systems. Russian forces will also use some advanced electronic weapons including devices intended to prevent satellite communications off the coast of Syria. Israeli pilots may have to use maps again. 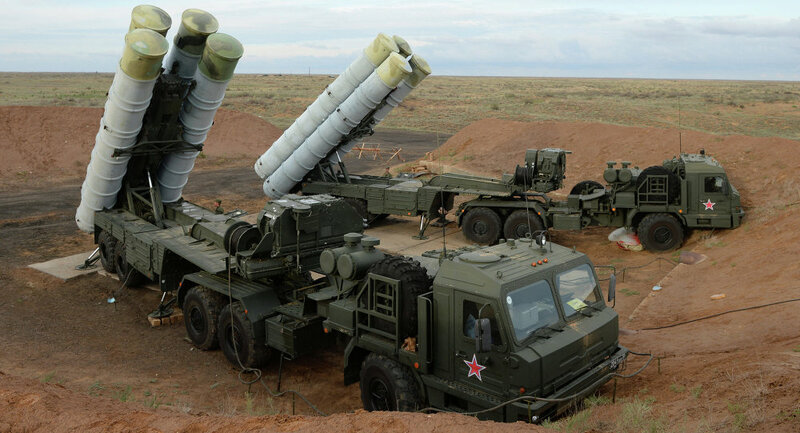 Though Israel claims that its pilots are trained to deal with the S-300, they are likely to restrain Israeli aggression over Syria. It is expected that the anti air batteries will be operated, at least in the near future, by Russian military. It is pretty unlikely that Israel will take an aggressive initiative against a world super power. It is almost certain that Iran and the Hezbollah will use this window of Israeli paralysis to beef up their presence in Syria. Once again, like a prophecy that fulfils itself, the Jewish State brings disasters on itself, succumbing to the Yom Kippur syndrome.